Child support and spousal support may be awarded after divorce to help ensure both parties have the financial resources they need to raise the children and maintain the lifestyle they grew accustomed to during the marriage. 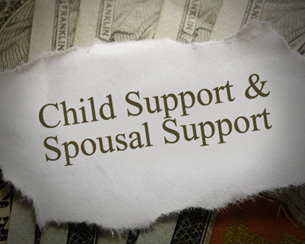 Child support is determined using a formula that calculates several factors. Alimony is also based on several factors, but there is no formula for determining support amounts. Whether you are interested in collecting support or want to know how much you’ll be expected to pay, it’s critical to work with a child support attorney who can protect your rights in Manassas, Prince William, Manassas Park, Gainesville, Haymarket, Woodbridge, Lake Ridge, Dumfries, Bristow, Warrenton, Centreville, Fairfax, Stafford, Chantilly, Leesburg, Ashburn, Sterling, Herndon, Reston, Alexandria, Annandale, Arlington, and Northern Virginia. At the law office of Carluzzo Rochkind & Smith, P.C., that is what you will find. Some individuals think they’ll be able to navigate their way through the juvenile court without guidance from an attorney. In reality, however, the legal system is not exceptionally consumer friendly, and working through the system without support from an experienced lawyer can be confusing and time-consuming. We can help you understand how child support payments are determined and what factors will impact your child support payments. In Virginia, there is no formula for calculating spousal support, which is also called alimony. Instead, spousal support is based on the judge’s discretion and several factors, including the length of the marriage, financial contributions of each party to the household income, earning capacity of both parties and lifestyle maintained during the marriage. If you are interested in learning more about the child support or alimony payments you can expect to pay or receive, contact our firm online or call 703-361-0776.